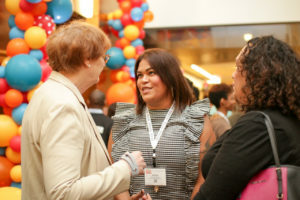 The United States Conference on AIDS (USCA) has become renowned for its networking opportunities and as a convener of stakeholders across the spectrum of the HIV and healthcare. Attendance is expected to be high as thousands come together to address expected changes in our healthcare system. Make sure that you are present to have important conversations with leaders, decision-makers and front-line service providers. 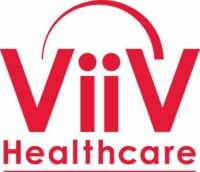 Exhibiting at the United States Conference on AIDS (USCA) is an excellent way to gain in-person access to people infected and affected by HIV and AIDS and those that serve them. Several events and amenities throughout the conference attract attendees into the exhibit hall, including: dessert breaks, raffles and social media integration. 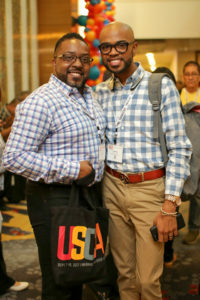 Organizations or companies that provide services to help people deliver education, research, treatment and/or care to people living with HIV or AIDS and those working to improve the lives and effectiveness of those working towards ending the epidemic should consider exhibiting at USCA. The conference usually sells out of exhibit space prior to the final deadline so make sure to reserve your booth today. Two full conference registrations that include admission to all conference sessions, meals and social functions. A maximum of two (2) 8’ x 10’ booths may be reserved by an organization. Written cancellations received via email to conferences@nmac.org on or before July 13, 2018, by 5:00 pm (EDT), will be honored in full, less a $150.00 processing fee. Refunds will NOT be issued for cancellations received after this date. 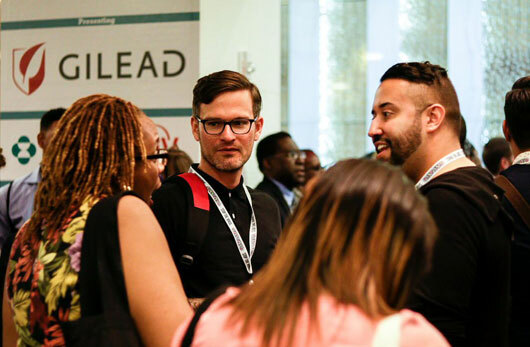 Sponsoring USCA builds visibility for your brand or organization, connects you with a diverse group of decision-makers, and gives you a forum to share your organization’s message and expertise to the 3000+ registrants that are expected to attend. Additionally, your sponsorship funds allow USCA to create impactful programming and fund scholarships to people affected by HIV and AIDS. Reach USCA’s 3,000+ participants by advertising in the official conference program book and mobile app. Ads will appear in color in the on-line program book and in gray-scale in the printed condensed program agenda. Ad files should be sent to conferences@nmac.org. Artwork must be high resolution (at least 300 DPI) EPS, PNG, JPEG or PDF files created in Adobe Creative Suite or QuarkXPress. ​USCA does not provide typesetting, copy alterations and/or mechanical preparation. USCA reserves the right to adjust any submissions that do not comply with the size requirement.